Home to the first established U.S. military base. Shortest gateway to Glacier Bay National Park. Population is 2,400 people, 1,897 dogs, 3,500 eagles and 260 species of birds. Borders 20 million acres of protected areas of wilderness, the world’s largest. 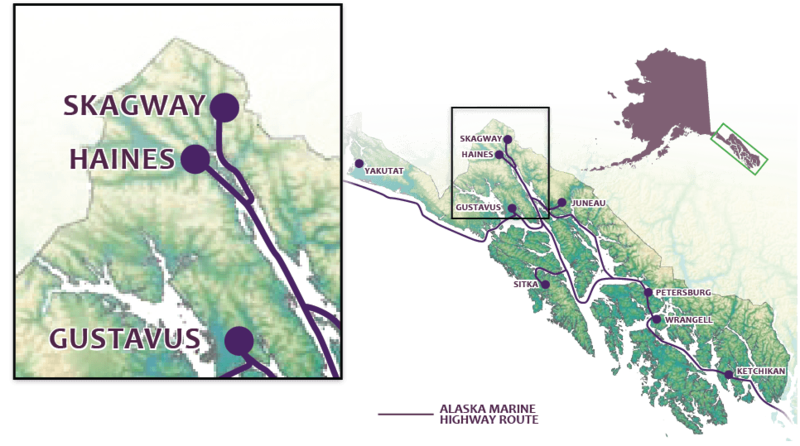 Haines and Skagway are about 15 miles apart by water, but 350 miles apart by road. The Disney movie “White Fang” was filmed entirely in Haines.